We are a sub-sea construction and consulting company focused on commercial diving and ROV services, based in Port Hawkesbury, Nova Scotia. 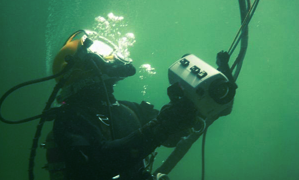 Our services range from underwater filming and inspection, to maintenance, repair, and construction. Atlantic Sub-Sea is well equipped to perform inspection and work of any kind in any area of Nova Scotia. This ranges from boats, marinas and wharves, to pipelines and intakes, underwater welding equipment, and potable water tanks. We understand that in construction, time means money so we strive to complete our work in a timely fashion while holding safety in high regard. Our experienced dive team is on call, ready to serve you anywhere in Nova Scotia. The SeaBotix LBV200-4 has become the benchmark MiniROV. 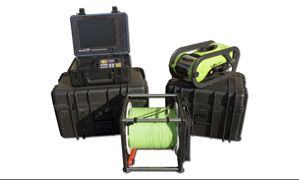 An incredibly well-rounded and capable system for a diverse range of ROV applications. At Atlantic Sub-Sea, we take our job very seriously, not only do we do whatever we can to maintain our reputation and our clients relationships, but we strive to always be on time. We take pride in being on scene when you need us, were you need us all over Nova Scotia, and we are always ready to go. Commercial diving is not only our specialty, but it is our passion. We love what we do, and we guarantee that your job will be done right, and fast. We know you have a schedule to maintain, and that makes us work even harder to meet your requirements, because we know how important it is to be on time. Not only are we on time and efficient, but we are organized as well. We come prepared, with the best equipment, ready to tackle any job that you are looking for. We maintain an organized system that continuously delivers next to perfect results every time! And because of that, you'll find it hard to trust anyone else with your sub-sea needs anywhere else in Nova Scotia. At Atlantic Sub-sea Construction and Consulting we believe that service should be exactly what you pay for, and that is why we offer great value for the work we do. You'll find that it is near impossible to get the service we offer, for any cheaper, anywhere in Nova Scotia!